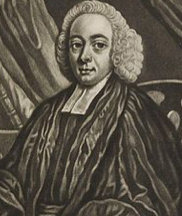 Martin Madan was an 18th century writer, clergyman and barrister. He was mostly known for his Methodist hymn writing, these efforts being known collectively as The Lock Hospital Collection. One of his most famous compositions was the Christmas carol Hark! The Herald Angels Sing, a song still sung today all over the world. He was a practicing preacher until forced to give up that side of his life after having a book published called Thelyphthora or A Treatise on Female Ruin. It contained many controversial views on marriage including his approval of polygamy. He was born on the 5th October 1725 at the home of his paternal grandfather who lived in Bond Street London. His mother was the poet Judith Madan who, no doubt, instilled ambitions to become a writer in her son. He lived in comfortable circumstances, his father being a Member of Parliament, and he was educated firstly in Chelsea and then at the prestigious Westminster School. From there he went up to Christ Church College, Oxford, gaining a BA in 1746. His early career ambitions were to become a lawyer and he was admitted to the bar in London’s Inner Temple. He did not, however, pursue a legal career for too long. He served as a church minister for nearly 20 years, retiring in the late 1760s. He was chaplain at London’s Lock Hospital for some time, this being a hospital primarily for penitent prostitutes. He was also busy with his writing and had his collection of Psalms and Hymns extracted from various Authors published in 1760. Nine years later he produced A Collection of Psalms and Hymn Tunes. However, his next publication caused a great storm of controversy in 1780, this being a book called Thelyphthora, or A Treatise on Female Ruin. As a devout church man he deplored evil in any form and, surprisingly, he suggested that polygamy might be a remedy for some of the worst practices that were often present in the marital home. Madan responded in a fairly low key manner to the criticism, including writing letters to the editor of Chambers’ Encyclopaedia in 1783. Unfortunately the public outcry made it impossible for him to carry on as a minister and he retired to Epsom, Surrey in 1781. Martin Madan died there on the 2nd May 1790 at the age of 64. He was buried in Kensington, south west London.